So, we know that the browser has cookies. In fact, even the websites that we browse across the internet have cookies too. You also need to make sure that you are not running through any of the unwanted cookies on the internet. Also, some websites even may ask you to accept the terms and conditions and also accept the cookies in order to provide smooth performance and speed all over the website that you have accessed. So, cookies are very important in order to run over the websites quite smoothly. Some websites even may ask you to enable cookies from your browser. 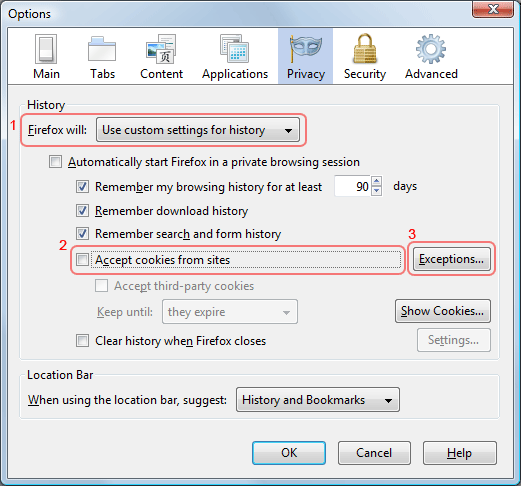 You probably might be wondering how to enable cookies in chrome or how to enable cookies in internet explorer. Let me tell you, it is quite easy and simple. You clearly don’t have to be a techie, to enable cookies in order to get access throughout the website. You need to know, that cookies are nothing but the minute text files that web servers or the websites save it in your computer system when you are on their website or their servers. You perhaps have stored some private preferences for the particular server or the website. We generally log in to some website (probably our official one) and save the username and password. This is nothing but cookies that help us to save and remember these login credentials for the later times when we login into the same website. Some third party cookies actually track the website or the server behavior of the user. Nevertheless, here is how to enable cookies in your browser. Also, some use these cookies to trace the activity that runs across various servers and the websites. 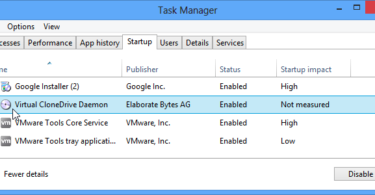 Some third party cookies are also used to track the activities. Hence, we generally disable the cookies so as to hide the behavior and the activities that we do on their website and their servers. 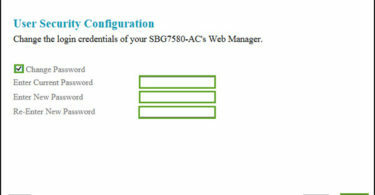 Check out the guide and the steps to know how to enable cookies. You can very easily enable the cookies in Google Chrome with the help of this simple procedure. You obviously, have to open Google chrome>enter settings, you will find the settings option in the Chrome browser’s top right menu. The settings will load a new page. Once done, enter advanced settings>enter content settings, you will find the content settings on the same page. Just view the content settings and go to privacy category in the same option. You will find various options on the same page, such as popups, ads, cookies, plugins and etc. You can simply allow the cookies>apply and save. There you go, you have enabled cookies in chrome. Okay, so the previous method was for Windows and now it is for iOS platforms. You just have to launch the Google Chrome and wait till the browser loads. The procedure is the same, just go to content settings- in the settings. When you enter the content settings option, you will see many options such as cookies, ads, popups and a lot more. Just enable the cookies option and save the changes that you have made. You can very easily launch the chrome app in your android device. Just enter the settings, and enter the content settings within the browser’s top right corner. Just go to advanced settings and you will find the cookies option in the content settings. Just follow the same procedure as instructed in the previous other platforms. Yes, it is absolutely possible. Just go to control panel>settings>Internet options. Once you have entered the internet section, just go to the privacy option and enter the advanced option. You will find the override automatic cookie handling option in the same page of the cookies category. Just accept and click on a prompt option. Once done, save the changes and apply it. In fact, this cookie issue with every browser and the platform that we come across. It is easy, just go to tools>then select options>privacy. 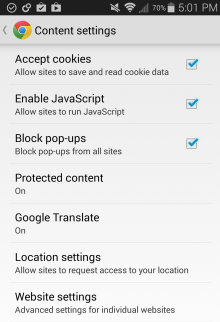 You will find an option with enabling/allowing cookies from sites. Just check it, and select done/ok. Once done, save changes. Here is how to enable to cookies! Now with the help of these above-mentioned methods, you can very easily enable the cookies in almost every platform and the browsers. Make sure that you are keeping up with the instructions quite clear. Rest, enjoy the internet to the core! Not just this, we also have posts to help you disable startup programs on Windows 10 and more.